From star-studded revivals to Broadway transfers to even a 24-hour piece, here’s what to see on and off Broadway this fall. Christian Borle, Stephanie J. 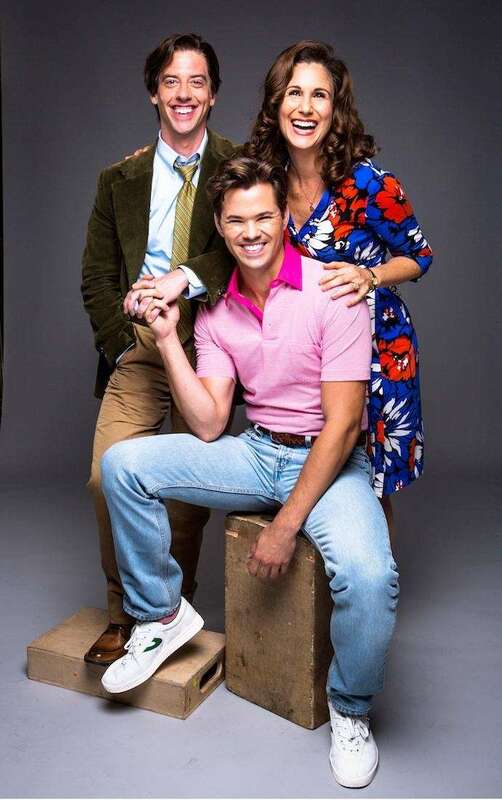 Block and Andrew Rannels (center) who will be featured in Lincoln Center Theater's upcoming Broadway production of William Finn and James Lapine's Tony Award winning musical "Falsettos" at the Walter Kerr Theatre. Ben Hecht and Charles MacArthur's 1928 Chicago newsroom comedy (which was adapted into the classic film "His Girl Friday") receives an all-star Broadway revival with Nathan Lane, John Goodman, John Slattery, Robert Morse, Sherie Rene Scott and Holland Taylor. Begins previews Sept. 20; Broadhurst Theatre, 235 W. 44th St.
Dave Malloy's festive electro-pop opera, which is based on a small piece of Tolstoy's "War and Peace," comes to Broadway after multiple off-Broadway engagements. New to the cast is Josh Groban, who is making his Broadway debut. Begins previews Oct. 18; Imperial Theatre, 249 W. 45th St.
Get ready to stand on your desk and recite poetry. Jason Sudeikis will play English teacher John Keating (originally played by Robin Williams) in this stage adaptation of the 1989 film, which is receiving its world premiere off-Broadway. Begins previews Oct. 27; Classic Stage Company, 136 E. 13th St.
Sutton Foster leads an off-Broadway revival of the dark-tinged 1960s musical comedy about an eternally optimistic dance hall hostess who looks for love in all the wrong places. Here's hoping it's better than the 2005 Broadway revival with Christina Applegate. Begins previews Nov. 2; Pershing Square Signature Center, 480 W. 42nd St. This acclaimed new musical about the storm and stress of being a high school loner in the age of social media makes a quick Broadway transfer after playing off-Broadway a few months ago. Ben Platt ("Pitch Perfect") leads the cast in the title role. Begins previews Nov. 14; Belasco Theatre, 111 W. 44th St.
Daniel Craig plays the ultra-villainous Iago in a new off-Broadway production of Shakespeare's tragedy directed by Sam Gold (Tony-winning director of "Fun Home"). He is joined by David Oyelowo (who portrayed Martin Luther King Jr. in the film "Selma") as Othello. Begins previews Nov. 22; New York Theatre Workshop, 79 E. Fourth St.